GURU's Virtual Ride™ combines the real-time action of the DFU™ with our integrated Computrainer unit to track your power output and adjusts resistance to replicate changes in terrain. GURU's Virtual Warehouse™ replaces a conventional test ride by allowing you to select individual models to ride on the GURU Fit System™ - featuring thousands of bikes across all categories (road, cyclocross, mountain, tri, recreation) from major manufacturers. The GURU Fit System's™ innovative 3D camera system with integrated Rider Scan™ technology seamlessly captures your anatomic data (without using manual tools) to identify the best bike to match your cycling preferences. GURU's 3D camera system recognizes all of your body's contact points to deliver real-time body angle analysis, eliminating the need for reflective dots or equipment and creating a superior fit experience. Every GURU Fit System™ retailer is F.I.S.T. certified - providing you with the most professional, rider-focused fit experience and ensuring aximum satisfaction with your results. GURU’s computer-controlled fit bike adjusts your riding position while you pedal – allowing you to feel changes in real-time to ensure that you create an optimal riding position. The DFU simulates incline/decline (up to 15% gradient!) to test your riding position against changes in terrain. 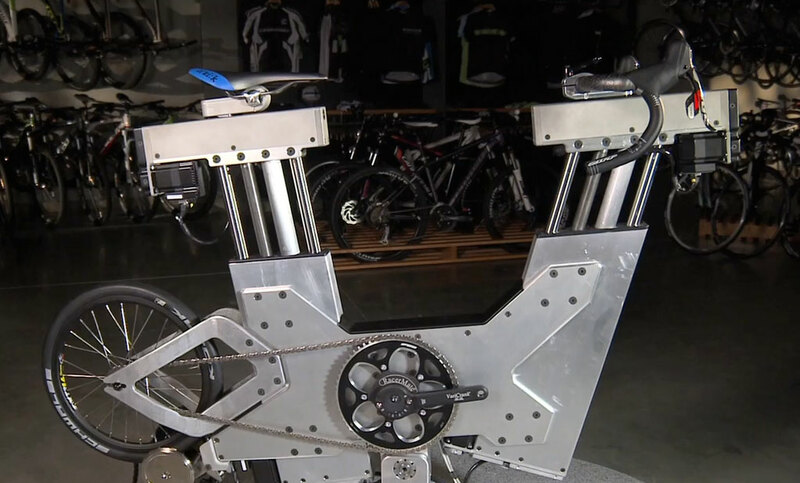 Integrated Computrainer provides power analysis to deliver maximum pedaling efficiency. Test out unlimited riding positions and model configurations to find the perfect bike to match your riding preferences. GURU’s innovative camera system captures all key anatomic measurements – driving a tailored bike model/size recommendation to match your riding preferences. 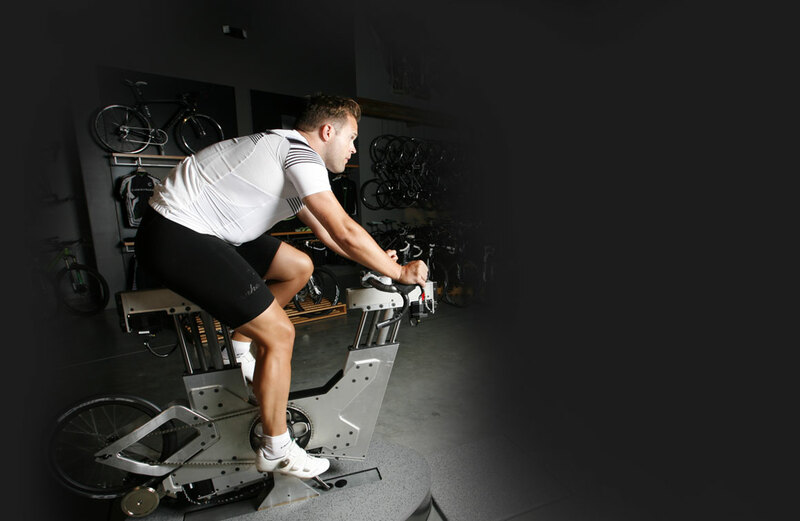 Created by Dan Empfield – founder of slowtwitch.com and renowned bike fit “guru” – this industry-leading fit protocol combines years of fit science and rider feedback to create a precision-based riding position tailored to your preferences. Access the fundamentals of F.I.S.T. 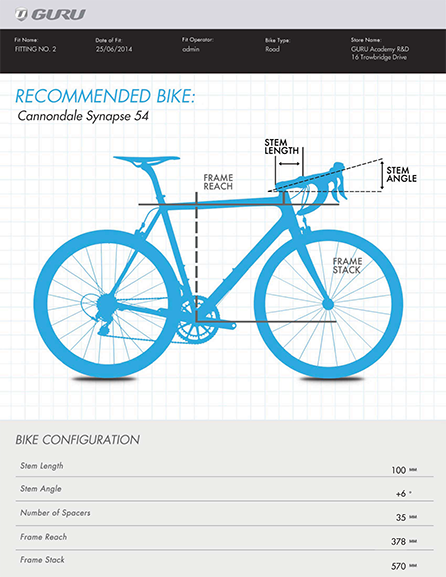 fit protocol to create the perfect fit on a stock bike. GURU’s 3D camera system allows you to monitor changes to your riding position in real-time – utilizing a single front-mounted camera to capture your joint angles. GURU's Virtual Warehouse features thousands of bikes across all categories (road, cyclocross, mountain, tri, recreation) from major manufacturers – allowing you to test ride a collection of individual bikes on command. GURU's tailored fit report delivers a personalized overview of your final riding position – featuring your essential fit data and specifications needed to pair your coordinates to a new bike or existing bike. The DFU™ simulates incline/decline (up to 15% gradient!) to test your riding position against changes in terrain. Find your perfect riding position in every GURU fit module – including Triathlon/Time Trial, Road, Mountain, Cyclocross and Recreation. Fully-integrated F.I.S.T. fit protocol delivers the ultimate fit-first experience by creating an optimal riding position based upon rider preferences and precision-based fit science. Test and compare unlimited riding positions to find the perfect bike to match your riding preferences. 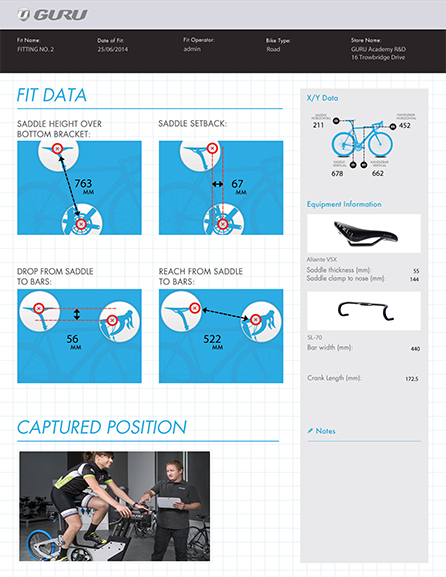 Load fit data from your existing bike to compare against your new riding position. GURU’s innovative camera system captures all key anatomic measurements – driving a starting point for your fit session to begin creating the perfect riding position. Your Body Scan data creates a tailored starting point to begin your Optimization session – allowing you to create unlimited riding positions to test and compare. 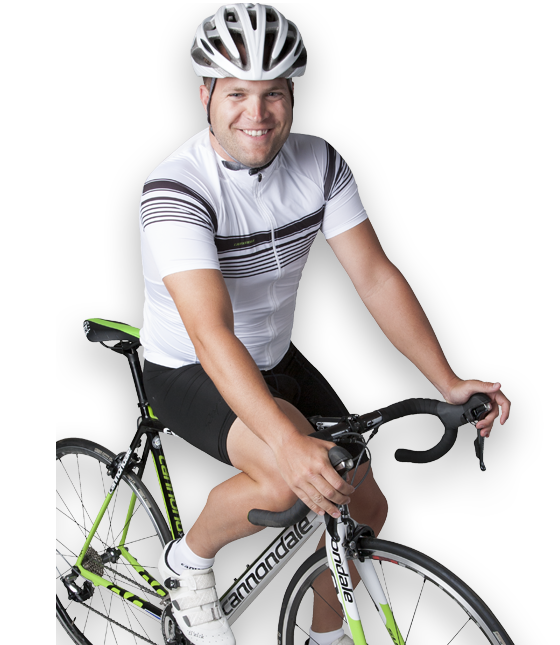 Utilize your final riding position on a new bike in our Virtual Warehouse™ – or optimize an existing bike. GURU’s 3D system allows you to monitor changes to your riding position in real-time – utilizing a single front-mounted camera to capture your joint angles. Unlike other motion capture systems, GURU’s integrated body angle analysis does not require the use of reflective dots or rider-worn equipment! GURU’s camera system automatically identifies all core joint positions to deliver real-time body angle analysis – ensuring maximum comfort and efficiency. GURU's Virtual Warehouse™ features thousands of bikes across all categories (road, cyclocross, mountain, tri, recreation) from major manufacturers – allowing you to test ride a collection of individual bikes on command. 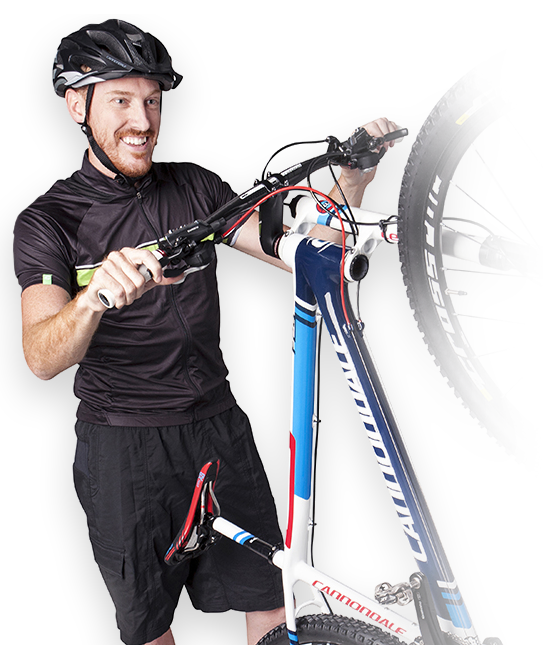 No longer just reserved for roadies and triathletes, GURU is proud to introduce the industry's first-ever comprehensive mountain bike fit. The GURU mountain fit module allows you to compare different bike sizes and cockpit setups before you hit the trail - getting you dialed in for your first ride in the dirt or your next 100-mile epic. Getting the most out of your 'cross bike requires more than simply modifying your road position - which is why GURU has developed the first-ever comprehensive cyclocross fit. Before you try to ride through your first sand section or try to bunny-hop the barriers, GURU's cyclocross fit module ensures that you're in the perfect position for race day. 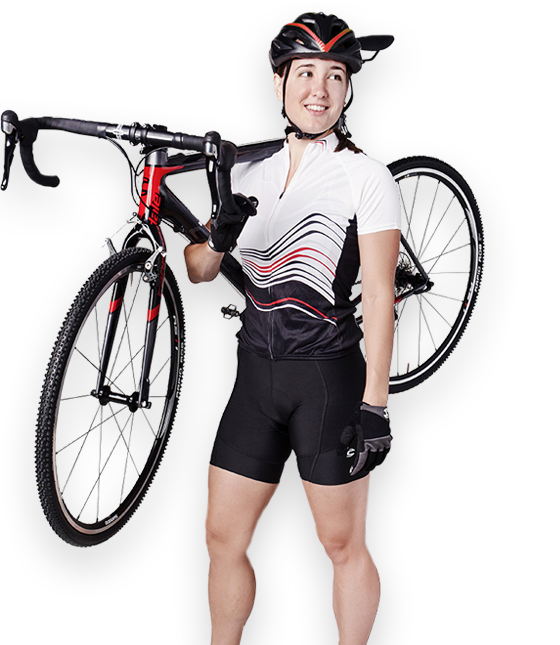 Proper bike fit is essential to getting the most out of your bike - even if you're just cruising around town. 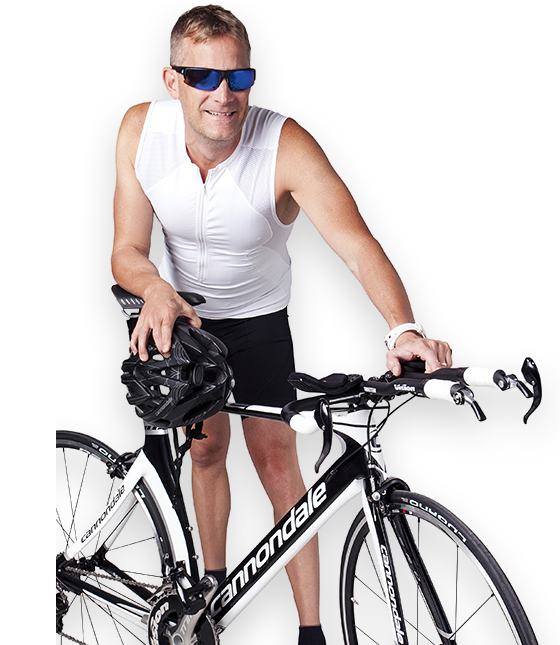 GURU's recreation fit module helps you select the best bike for running errands downtown or riding around the park.